Celebrate the most memorable Disney tales with all your favourite characters in Disney On Ice presents Passport to Adventure. Join Mickey Mouse, Minnie Mouse, Donald, Goofy and Daisy on a journey to the timeless worlds of Disney’s The Lion King, The Little Mermaid, Peter Pan, and Disney’s Frozen. You and your family will explore the African Pride Lands with Simba and friends, voyage to Ariel’s underwater kingdom and fly from London to Neverland with Peter Pan and Wendy to meet up with Tinker Bell. You’ll also travel to Arendelle for an extraordinary adventure with sisters Anna and Elsa, mountain man Kristoff and the huggable snowman Olaf. What’s more, don’t miss the pre-show party! Enjoy every second of this sensational show – starting with the chance to warm up at the fabulously fun Fit to Dance pre-show featuring Zootropolis! Upbeat music, lovable characters and unforgettable moments make Disney On Ice presents Passport to Adventure an experience your family will cherish forever! The show will stop by Newcastle's Metro Radio Area from 3 - 8 October 2017. 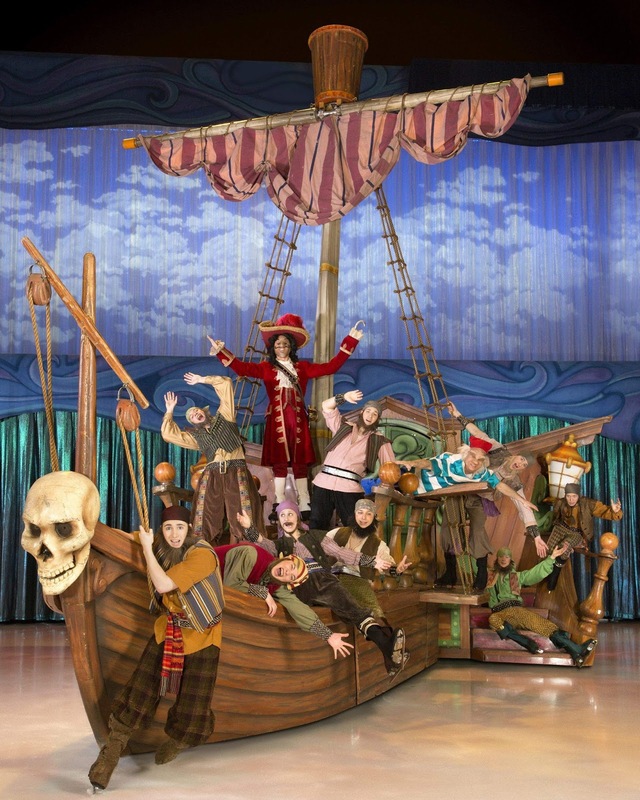 Buy your tickets to Disney On Ice presents Passport to Adventure here. Heidi really can't wait to watch this year's show and I've shared why she can't wait to watch The Little Mermaid on ice here. Here Come The Hooper's are equally as excited and you can read all about their Disney adventures here. I have teamed up with some of our favourite North East Bloggers to bring you a fabulous ticket giveaway. Enter the rafflecopter below for your chance to win 4 x tickets to watch Disney On Ice presents Passport to Adventure at Newcastle's Metro Radio Arena. Tickets are valid for the 6:30pm performance on 3rd October 2017. Good Luck!